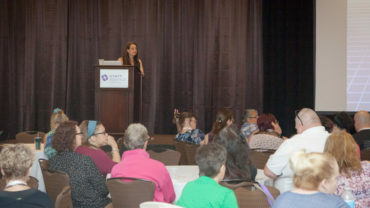 EveryBody Behavioral Health experts have has given hundreds of presentations and workshops on various disordered eating topics. If you need more information regarding our services please contact us here. Psychiatry Grand Rounds at several Research Institutions. Lectures and teaching for psychology graduate students about identifying and treating eating disorders, obesity, and assessments for weight loss surgery. Guest lectures and teaching for psychiatry residents. Obesity education: What practitioners should know. Eating Disorders and the General Practitioner. Dental Societies: How to recognize and speak to patients with eating disorders. Teachers, Coaches, and Parent Groups (PTA meetings) for both Eating Disorders and Obesity. Identifying Eating Disorders Lectures for college students and sorority groups. In addition, We have appeared in over 200 print and online venues discussing eating disorders and obesity as well as several radio and news programs. We also annually presents her research on eating disorders and obesity at International Conferences including the Academy for Eating Disorders, Eating Disorders Research Society, The Obesity Society, the Society for Behavioral Medicine, and the Association for Behavioral and Cognitive Therapists. If you are interested in requesting us to speak at your event, please email us directly through the Contact page.